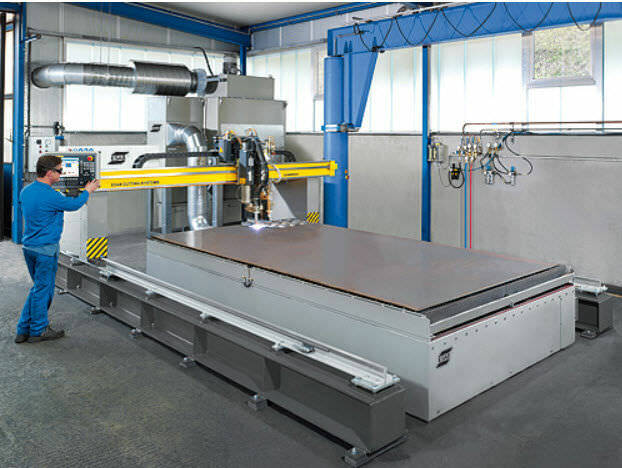 The Combirex DX gantry cutting machine is designed to meet the needs of job shops and manufacturers of all sizes and delivers high-performance machine for quality production cutting. The Combirex DX cuts material thicknesses up to 6 inches thick with oxy-fuel. The maximum cutting width with one torch is 10 feet. 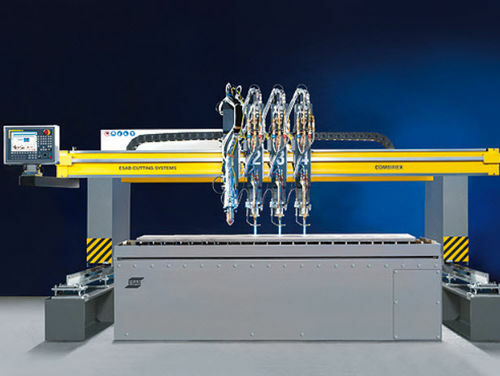 Up to four torches can be installed on a machine configured strictly for oxy-fuel cutting. Gas cutting operations are fully automated thanks to automatic torch ignitors, torch height control, and proportional valve gas controls. With just one torch you can exploit the full range of plasma cutting performance. Dry or on a water table – both options are available. 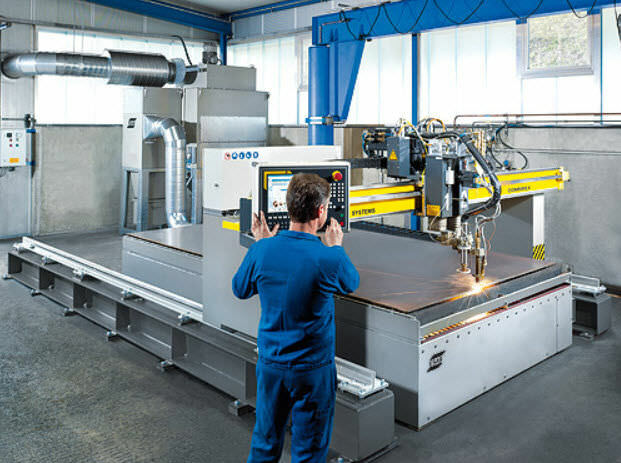 The automatic gas control allows effortless switching between plasma marking and cutting. Choose your current source according to your needs and upgrade it later. 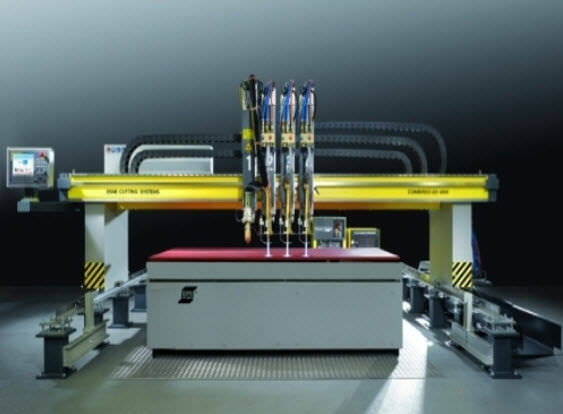 For stainless steel and aluminum, water injection plasma ensures the highest possible cut quality with minimum cost.